awwww... They all look so cute together! Oh my god! It's perfect. Aaw, this is just too kawaii! 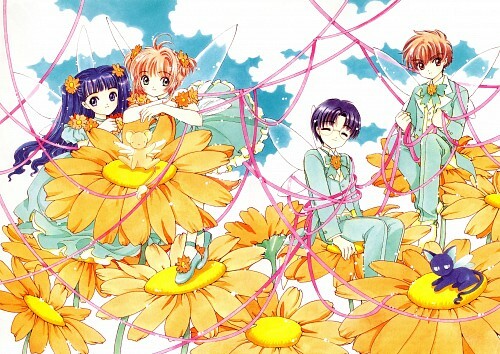 Syaoran-kun has fairy wings- that's just too epic! Thank you so much for sharing~~~! this looks cool! love sakura! I love this scan! Thanks for sharing! ?